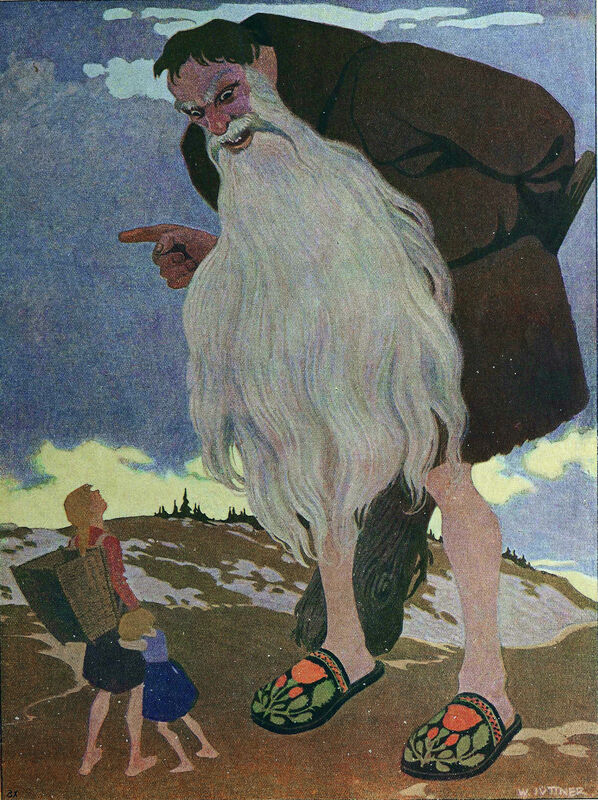 An illustration by W. Juttner. 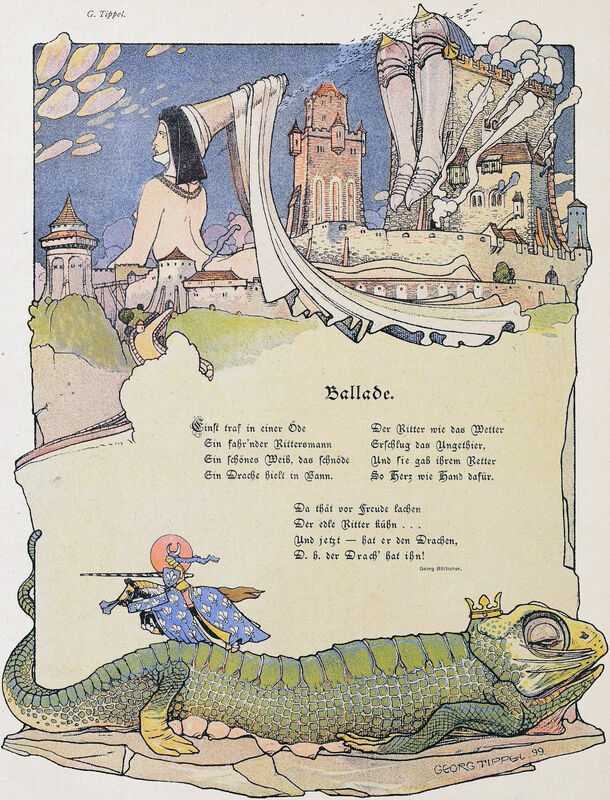 From der Guckkasten, 1912. 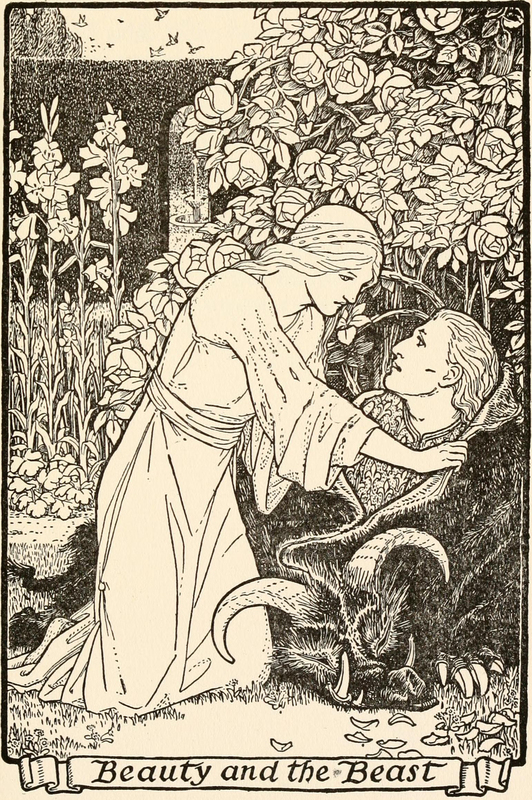 From Europa's Fairy Tales by Joseph Jacobs and illustrated by John Batten, 1916. We've read just enough fairy tales about princes turned into animals to completely misunderstand this headline from the Francis Marion yearbook of 1979. 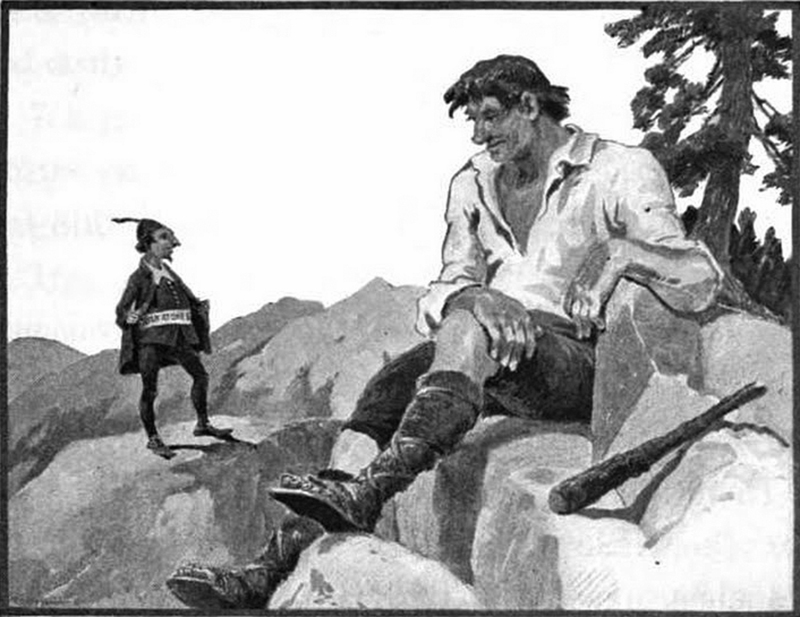 From The Beacon Third Reader by James Hiram Fassett and illustrated by Charles Copeland, 1914. See How to Believe in Your Elf. You've heard of the seven dwarfs, but that's Hollywood sensationalism. "Snowwhite and the three dwarfs." 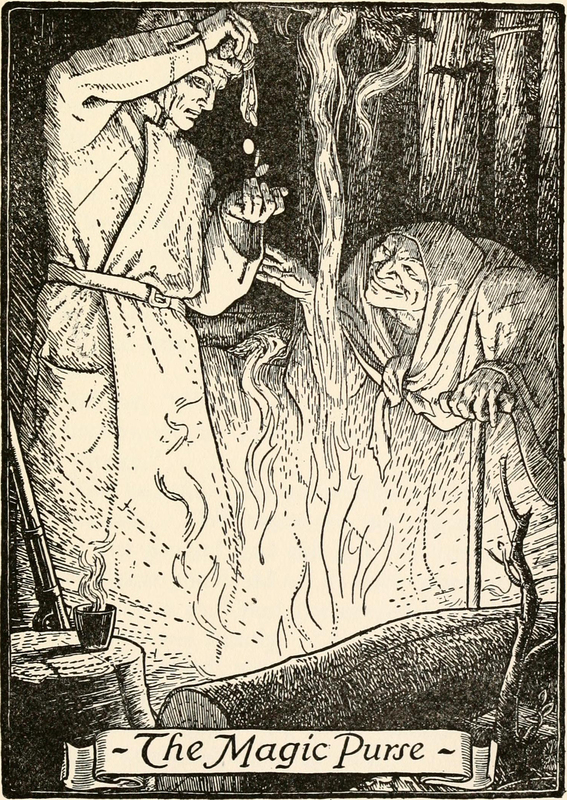 From Europa's Fairy Tales by Joseph Jacobs and illustrated by John Batten, 1916. 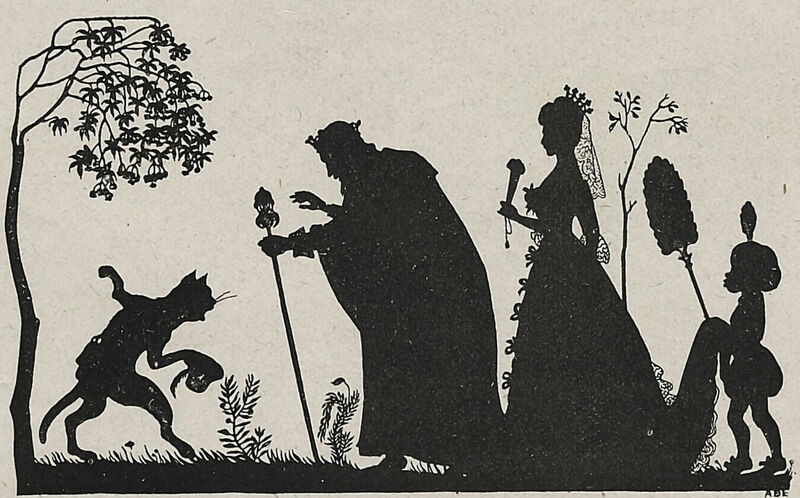 From The Sleepy King by Aubrey Hopwood and Seymour Hicks, 1900. "Anima goes down the hole." 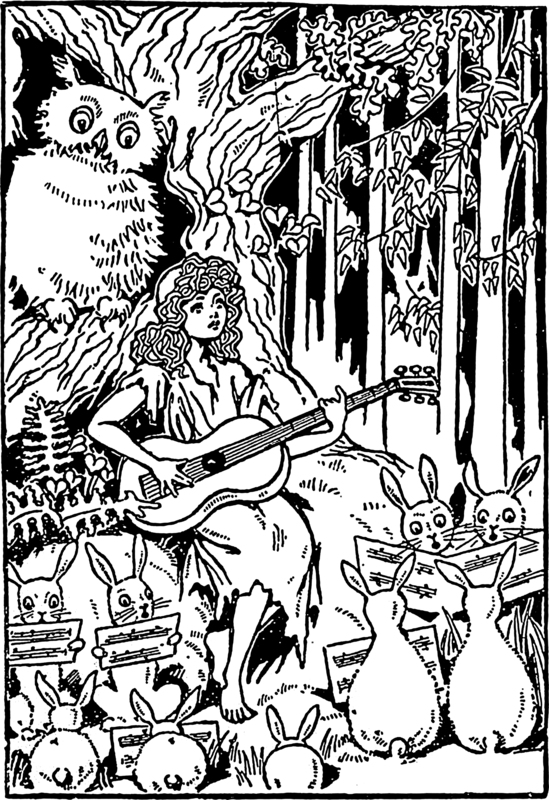 From Europa's Fairy Tales by Joseph Jacobs and illustrated by John Batten, 1916. 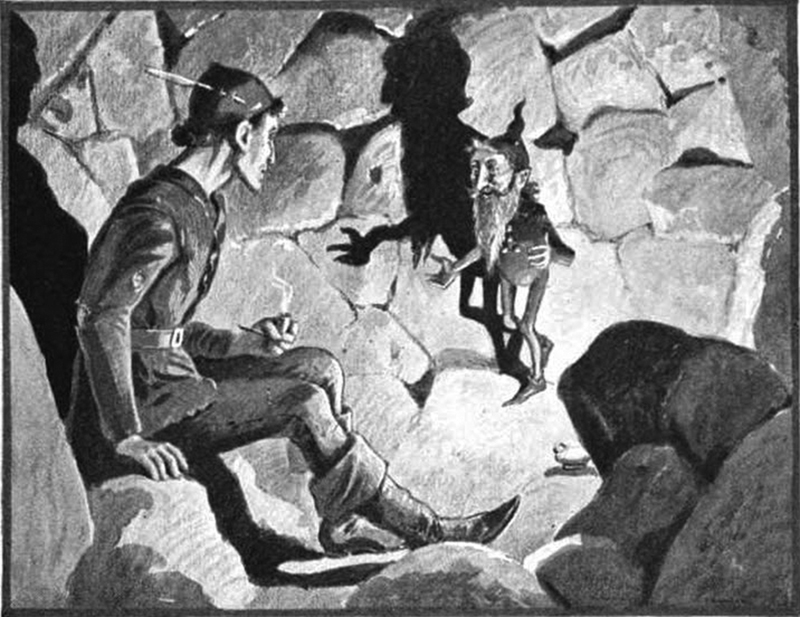 From The Beacon Third Reader by James Hiram Fassett and illustrated by Charles Copeland, 1914. 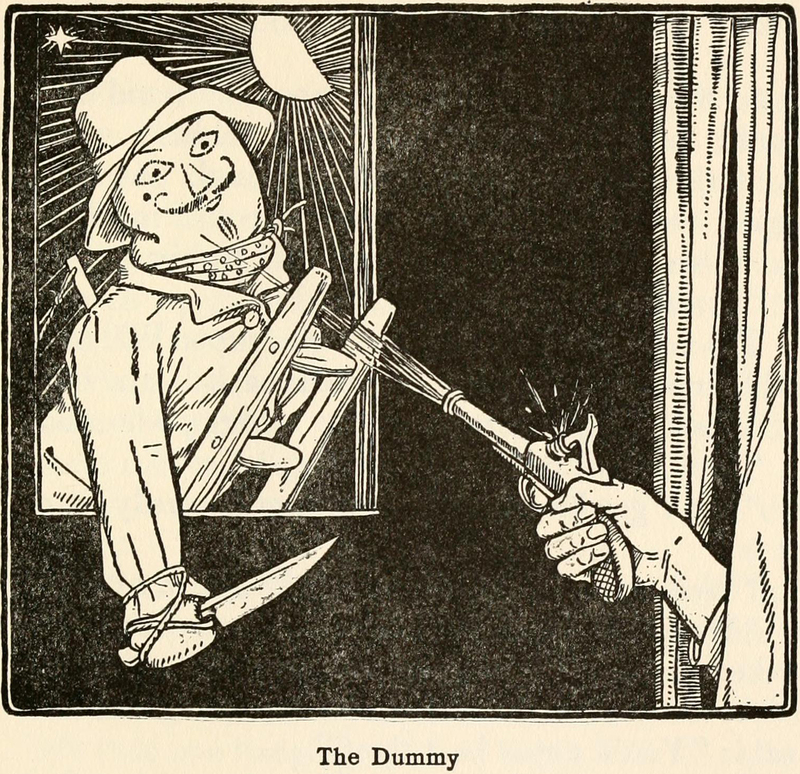 The dummy. 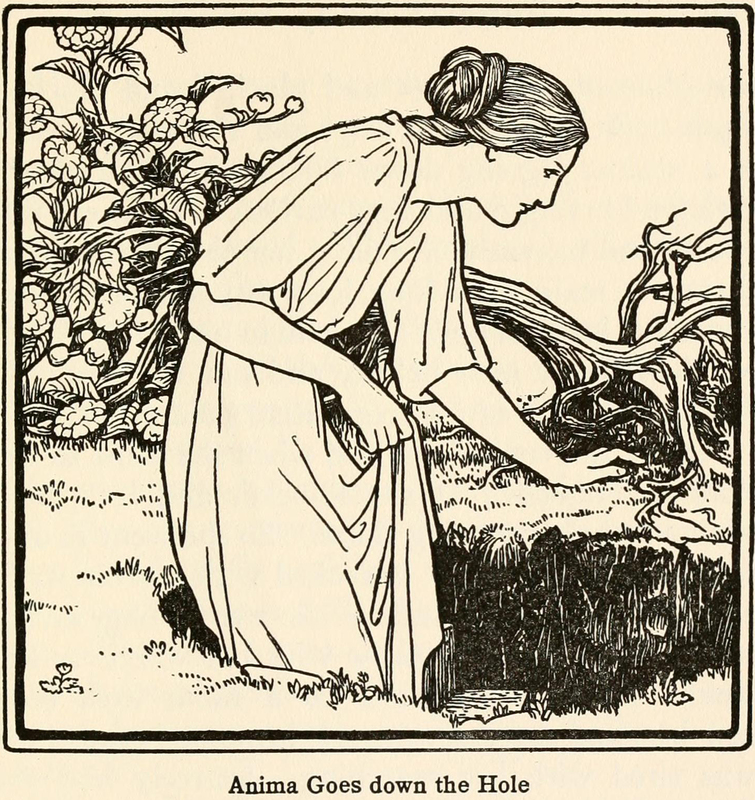 From Europa's Fairy Tales by Joseph Jacobs and illustrated by John Batten, 1916. 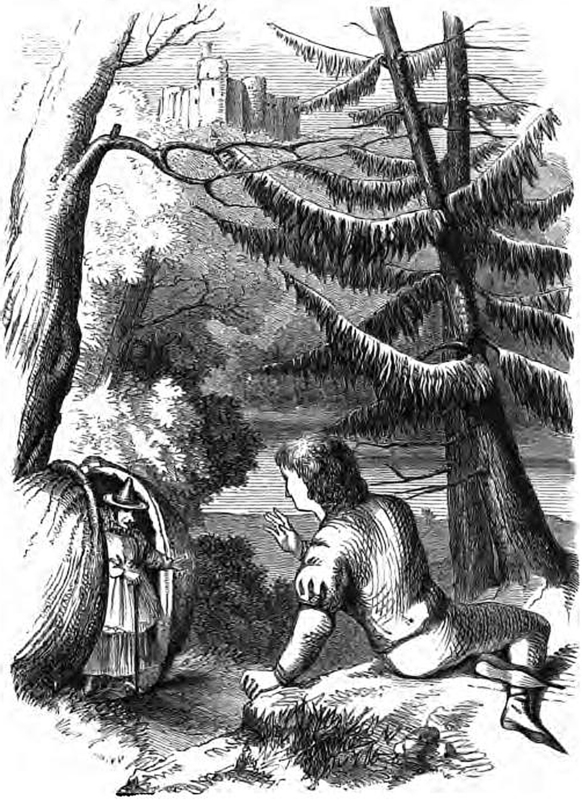 A walnut fairy from Our White Violet by Kay Spen and illustrated by T. L. Wales, 1869. 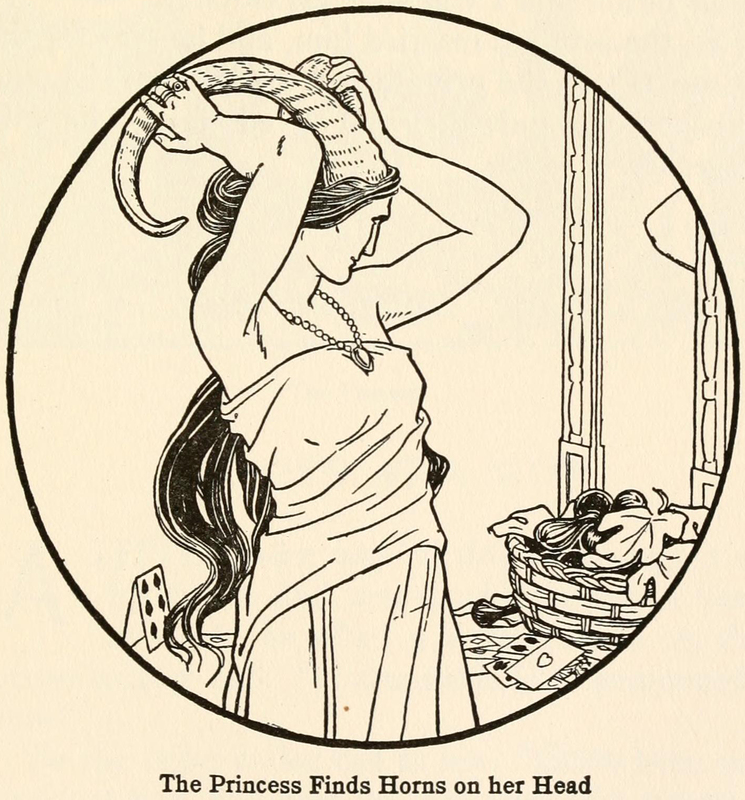 "The princess finds horns on her head." 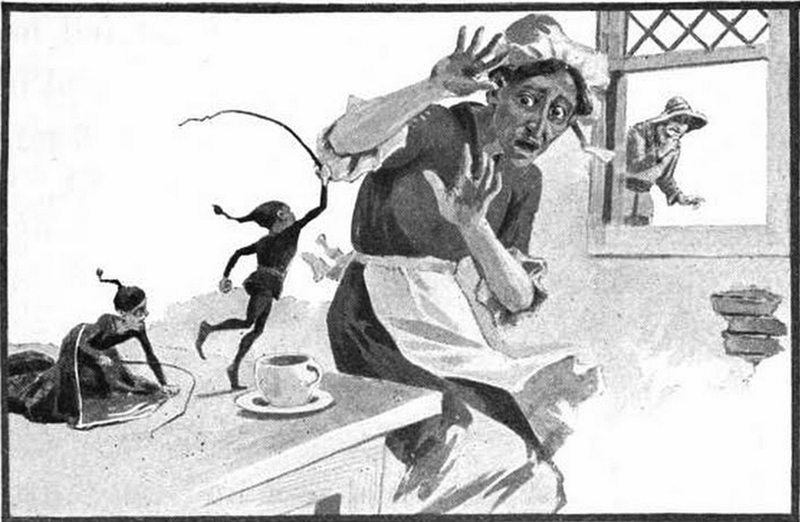 From Europa's Fairy Tales by Joseph Jacobs and illustrated by John Batten, 1916. 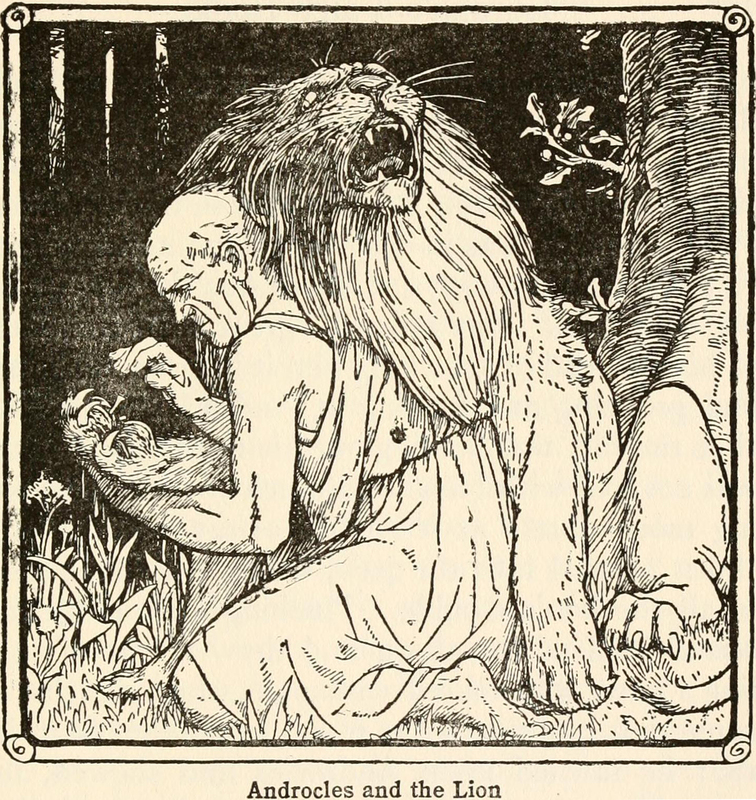 Androcles and the lion. 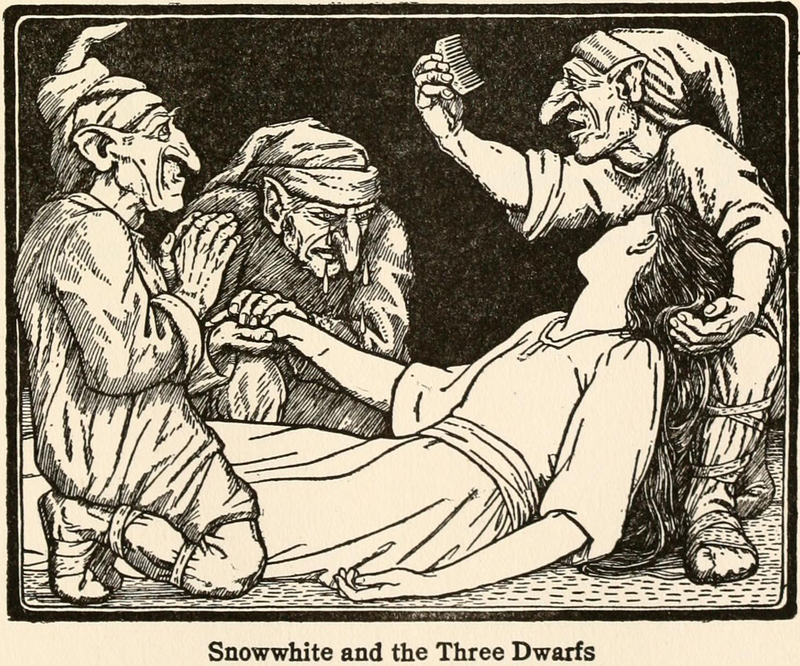 From Europa's Fairy Tales by Joseph Jacobs and illustrated by John Batten, 1916. Beauty and the Beast. 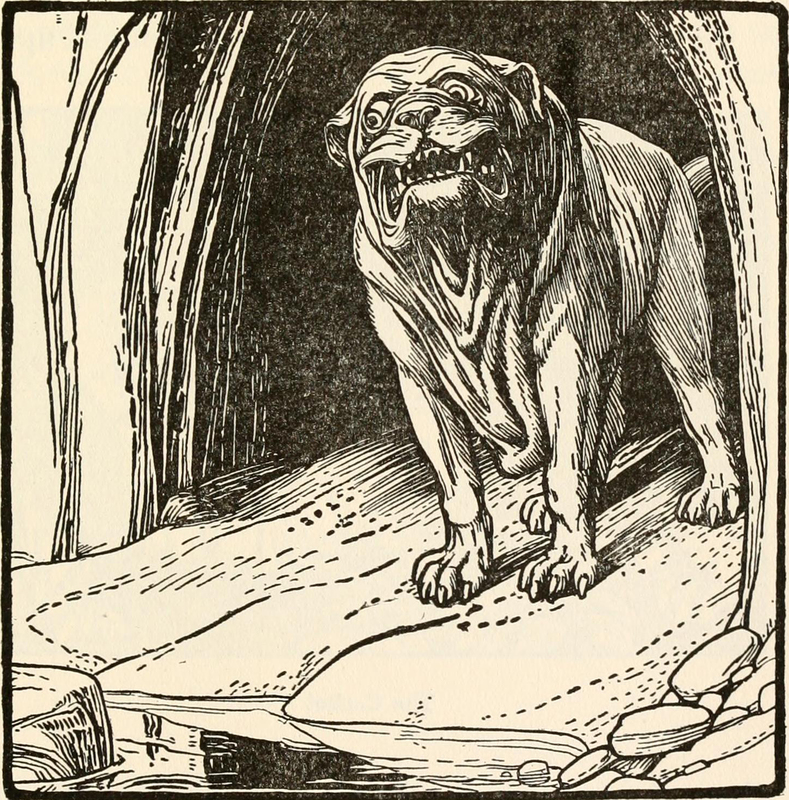 From Europa's Fairy Tales by Joseph Jacobs and illustrated by John Batten, 1916. 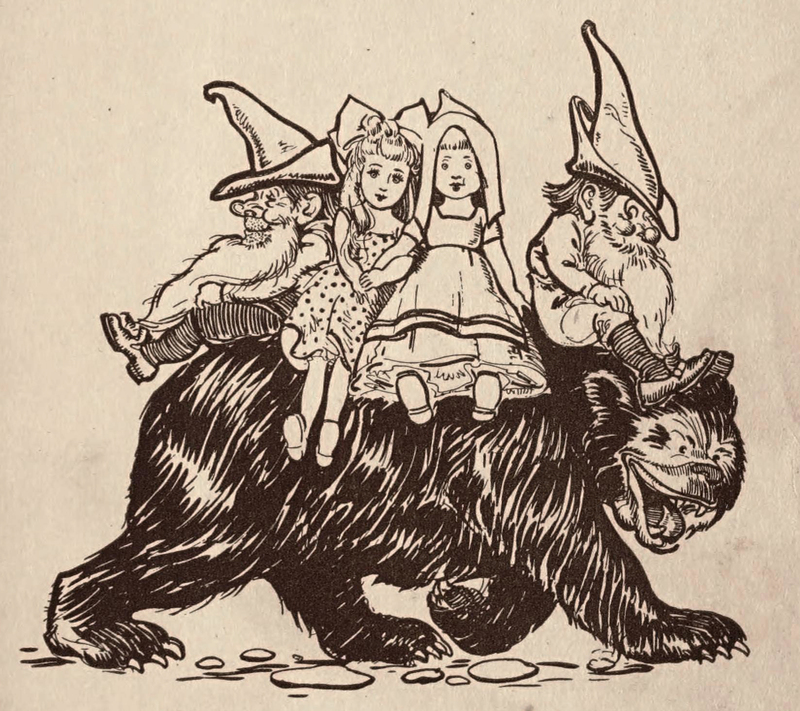 From A Book of Fairy-Tale Bears by Clifton Johnson and illustrated by Frank A. Nankivell, 1913. The magic purse. 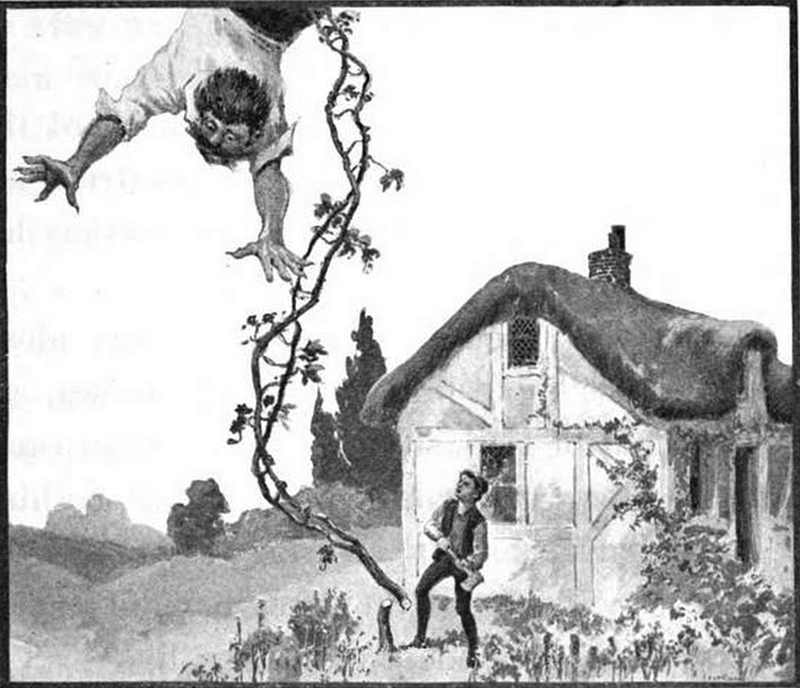 From Europa's Fairy Tales by Joseph Jacobs and illustrated by John Batten, 1916.